The Indian Air Force (IAF) attack on the training camp of the Pakistan-sponsored terrorist group the Jaish-e-Mohammad in Balakot is a good step. It can potentially help to establish deterrence against Rawalpindi’s use of terror as a weapon against India. But we have been here before. India has conducted several cross-border strikes, though by special forces units. In 2016, New Delhi publicised such a strike as a “surgical strike” after the terrorist attack on Indian military camp at Uri. These strikes did not deter Pakistan from continuing to use terror as a strategy. It is important to consider why. The key reason is that deterrence does not even appear to have been India’s objectives in these previous strikes. The objective was to put a temporary salve to heal the immediate wound rather than seek a long-term solution. Vengeance and justice have to be part of a deterrence strategy, because it is the certainty that an attack will be avenged and that justice will be provided to the victims that strengthens deterrence. But occasional vengeance and haphazard justice will have little consequence for future behaviour. Each of India’s previous retaliatory strikes have been of this kind: a temporary measure to patch up wounded pride. Not surprisingly, once Pakistan realised that Indian response was an aberration, it returned to using terror as strategy. The Pakistan’s army’s behaviour is perfectly rational: why worry about the occasional aberration when the terror strategy was so cheap, effective and — if nothing else — so immensely satisfying. If the Balakot strike is not to join the dismal achievement of previous Indian attacks, it has to be part of a deterrence strategy. This means that India must be prepared to escalate further when — not if — Pakistan responds. Pakistan’s response is a certainty and it could take either the form of a conventional riposte — an airstrike or even a missile strike — or further terror strikes. If Pakistan wants to be prudent, it will start with small terror attacks to begin with, which will be difficult for India to respond to with cross-border attacks, but eventually salami-slice its way to larger attacks, demonstrating that the Indian strikes have been a failure. Indian decision-makers must set clear lines for themselves about the severity of the attacks to which they will respond, even if this is more than a bit cold because parameters may include the numbers of dead or the importance of the target. But more importantly, Indian leaders must prepare forces, equipment, intelligence and plans for further escalation. India can dominate the escalation ladder because even its weakened military is still far stronger than what Pakistan can manage. India must leverage its conventional superiority and explicitly seek escalation because that is where its advantage lies. Unfortunately, though, each time India has escalated through its cross-border strikes, it has also signaled that it did not want to escalate further in a variety of ways, including by taking extraordinary care to avoid targeting the Pakistan Army. These terror attacks are sponsored by the Pakistan Army on Indian forces and citizens and there is little reason why India should take such care to avoid targeting it. Indeed, it is necessary for deterrence. But this time again, the Ministry of External Affairs statement refers to the attack as a ‘non-military preemptive action,’ a ridiculous formulation that seems designed as a desperate signal to Pakistan that India does not want to escalate to the ‘military’ level. This fear is odd, because until now, Pakistan has shown little willingness to escalate in response to Indian attacks, despite fierce and blood-curdling threats beforehand. And this, once again, is perfectly rational behaviour for Pakistan. It makes no sense for the weaker side in a dispute to escalate. But India’s decision-makers have convinced themselves, contrary to all empirical evidence, that Pakistan is not rational, its behaviour will not be predictable and therefore they should be feared. As long as Indian officialdom has such terror of escalation, deterring terror will be simply impossible. 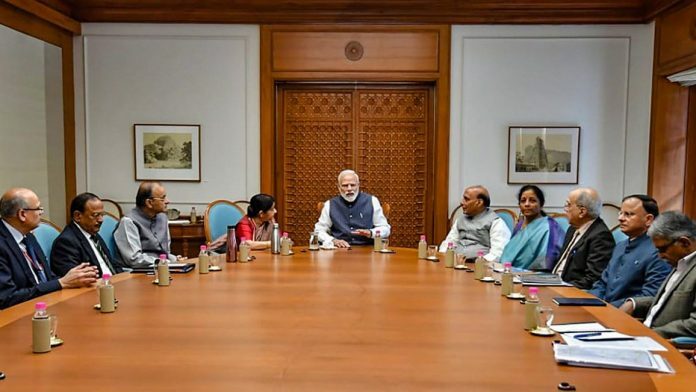 Indian decision-makers have to think about why it is that previous Indian strikes failed to establish a deterrence regime and ensure that the same fate does not befall the Balakot strike. Much as Indian might celebrate the Balakot attack — and it is worthy of celebration — these will be short-lived if India does not learn the lessons of previous cases. Pakistan may not escalate but it will definitely respond. It will test India’s deterrence limits over and over, until it is convinced that the costs of its behaviour far outweigh the benefits. This will take time, patience and an Indian willingness and preparation to escalate every time Pakistan transgresses. We have no choice but to do it. We can’t allow Pakistan to keep bleeding us. Pakistan’s fight is against Indians, their composite culture and it will not end easily. We made mistakes in 1947 and 1971 to extract the long-term strategic objectives. We shouldn’t do this now. We should talk with Pakistan but from the position of strength. One could not disagree more profoundly. What exactly has India been doing since 18 May 1974, other than to create credible deterrence against two powerful adversaries, one now almost in the league of the United States. Not neglecting conventional capabilities but recognising that the ability to deliver a numbing retaliatory strike remains the best guarantor of our safety. 2. Too much talk of war in recent years, some of it by TV anchors with their brains in their socks. I was very impressed when former NSA Shiv Shankar Menon – the most cerebral, urbane holder of that office to date – said that India’s foremost strategic object is deal with its forbidding challenges of development, the removal of mass poverty, a better standard of living for its people. He had the intellect to see India’s place in the world and also the role of national security as only one component of our well being. 3. A brief fifteen day war with Pakistan will set India back by a decade. The LoC will remain exactly where it is. Nothing will change on the ground.